CHICAGO – The Council on Tall Buildings and Urban Habitat (CTBUH) has announced the recipients of its two Lifetime Achievement awards for 2018. 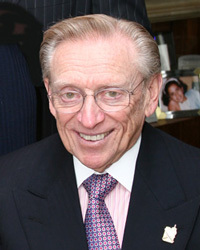 This year the CTBUH Board of Trustees will award the Lynn S. Beedle Lifetime Achievement Award to Larry Silverstein. Silverstein is a prolific developer whose steadfast determination helped guide the World Trade Center site in New York City to fruition following the September 11, 2001 terrorist attacks. His lifetime of contributions to the field of tall buildings makes him a clear choice for this honor. The Fazlur R. Khan Lifetime Achievement Medal will be awarded to Aine Brazil, a leading structural engineer and a champion for women in the profession. Brazil’s work spans the globe, and the Council is pleased to recognize her for her myriad technical contributions in the vertical realm and unwavering commitment to the improvement of the built environment. The CTBUH is also pleased to recognize five new CTBUH Fellows for their ongoing contributions and leadership within the Council over a number of years. This award, bestowed by the CTBUH Board of Trustees, recognizes an individual who has made extraordinary contributions to the advancement of tall buildings and the urban environment during his or her professional career. These contributions and leadership are recognized by the professional community and have significant effects, which extend beyond the professional community, to enhance cities and the lives of their inhabitants. The individual’s contributions may be well known or little known by the public and may take any form, such as completed buildings, research, technology, methods, ideas, or industry leadership. Larry Silverstein is the Chairman of Silverstein Properties, Inc., a New York City-based real estate development and investment fund that has developed, owned, and managed 3.7 million square meters of office, residential, hotel, and retail space. He is probably best-known for his tenacity and steady hand on New York real estate during tumultuous times. In July 2001, Silverstein completed the largest real estate transaction in New York history when he signed a 99-year lease on the World Trade Center for $3.25 billion, only to see it destroyed in terrorist attacks six weeks later on September 11, 2001. Since then, Silverstein has worked diligently to rebuild the office components of the World Trade Center site, a $30 billion undertaking. In May 2006, Silverstein Properties opened 7 World Trade Center, the first office tower to be rebuilt at the site, and the first LEED-certified office building in New York City. In November 2013, the company opened 4 World Trade Center, a 72-story, 232,258 square-meter building designed by Fumihiko Maki. The company continues developing two other office towers on the WTC site – 2 and 3 World Trade Center. Silverstein donates his time and resources to support many philanthropic endeavors. He has served as Chairman of the Board of UJA-Federation. He is also a founding trustee of the Museum of Jewish Heritage in New York and has served as treasurer of National Jewish Health in Denver. This award, bestowed by the CTBUH Board of Trustees, recognizes an individual for his or her demonstrated excellence in technical design and/or research that has made a significant contribution to a discipline(s) for the design of tall buildings and the built urban environment. The contribution may be demonstrated in the form of specific technical advances, innovations, design breakthroughs, building systems integration or innovative engineering systems that resulted in a practical design solution and completion of a project(s). The consideration may be based on a single project or creative achievement through multiple projects. Aine M. Brazil is Vice Chairman of Thornton Tomasetti, a 1,200-person structural engineering consulting firm headquartered in New York City. In her 40-plus year career, she has been responsible for the design and construction of some of the most significant high-rise buildings in the United States and internationally. 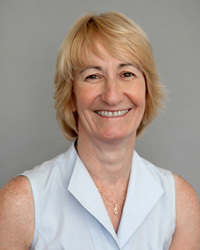 High on the list of her accomplishments is the role she played in leading the structural engineering team’s design of more than 275,000 square meters of high-rise office development in New York City’s Times Square neighborhood, including the 47-story Seven Times Square and the 40-story Five Times Square. Outside the US, Brazil’s work includes the Kristal Kule Finansbank Headquarters in Istanbul, Turkey; the Cuauhtémoc Tower in Monterrey, Mexico; and Palazzo Lombardia in Milan, Italy. She has been recognized many times for her contributions to the built environment, including being named one of “New York’s 100 Most Influential Women in Business” by Crain’s New York Business in 1999. Brazil has long been passionate about encouraging women to join the engineering profession, and is currently co-chair of the NYBC Council of Industry Women. She also established a mentoring program at Thornton Tomasetti, Women @ TT, to help the firm’s female employees grow their careers. 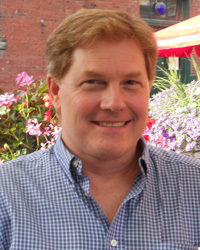 Mark Garland has been a construction professional since 1978 and is currently the President of LCL Builds in Toronto, where has overseen construction projects that span the globe. He has served as the Country Secretary for CTBUH Canada since 2013 and as a City Representative for Toronto since 2012. Garland is a regular attendee at CTBUH conferences, including the 2017 Australia Conference, the 2015 New York City Conference, and the 2014 Shanghai Conference. Craig Gibbons is currently a Fellow and Principal at Arup. 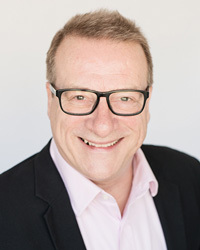 He has a long history of affiliation with CTBUH, where he has been a City Representative for Brisbane since 2013; a Trustee from 2013-2014 and Secretary of the Board of Trustees from 2014-2015; a 2006 Awards juror; a speaker at the 2006 Chicago Conference and the 2014 Shanghai Conference; a member of the Dubai 2008 World Congress Steering Committee; and a member of the 2012 Student Design Competition second-round jury. 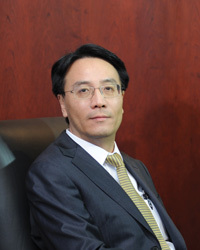 Jianping Gu is the General Manager of Shanghai Tower Construction and Development Co., Ltd. He previously worked as the General Manager of the China City Real Estate Investment Group. Gu has a been a member of the CTBUH China Office Board since 2015; a co-chair and speaker at the CTBUH 2012 Shanghai Conference; a CTBUH 2016 China Awards juror; and an attendee at the CTBUH 2014 Shanghai Conference and the CTBUH 2016 China Conference. 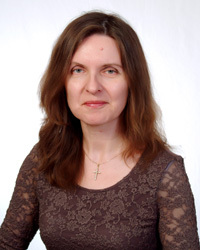 Elena Shuvolova is the founder and owner of Lobby Agency, whose main goal is to provide unique and effective opportunities for the development of mutually beneficial international cooperation in the sphere of construction. She has been a Country Representative for CTBUH Russia since 2009; a Co-Chair of the CTBUH 2008 Moscow Conference; and a regular attendee at CTBUH Conferences, including most recently the 2013 London Conference and 2012 Shanghai Conference. 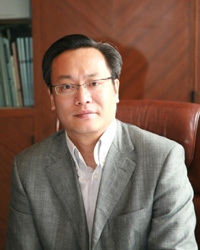 Junjie Zhang is the President of the East China Architectural Design & Research Institute. He also serves as the chairman of the China International Exchange Committee for Tall Buildings and the vice chairman of the Architectural Society of Shanghai. At CTBUH, Zhang has been a member of the China Office Board since 2015; a speaker at the CTBUH 2012 Shanghai Conference and CTBUH 2014 Shanghai Conference; and a CTBUH 2016 China Awards juror.